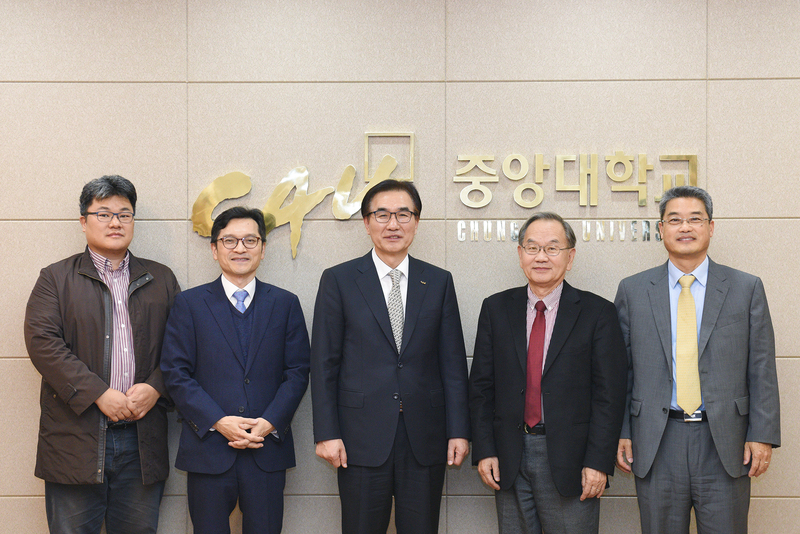 A delegation from Pyongyang University of Science and Technology visited Chung-Ang University (CAU) on November 9th, 2018 (Fri) to discuss a possibility to sign an agreement on joint research and faculty exchange. 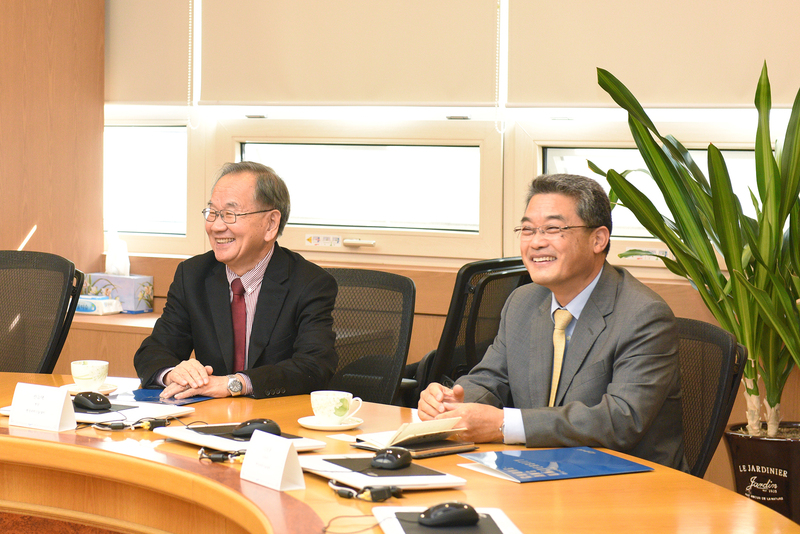 From Pyongyang University of Science and Technology, President Chon Yu-taik and Vice President Ko Dong-hoon participated in a meeting, while from CAU, President Kim Chang-soo, Vice President for International Affairs Hong Jun-hyun, and Prof. Lee Dong-hyun of the School of Integrative Engineering, the College of ICT Engineering attended. Pyongyang University of Science and Technology, established as the first privately-run university in the DPRK in 2010, has 2,000 undergraduate and 600 graduate students. They are enrolled in the schools of Agriculture and Life Sciences, Electrical and Computer Engineering, International Finance and Management, and the division of Medical Sciences. The official language of instruction of the university is English. 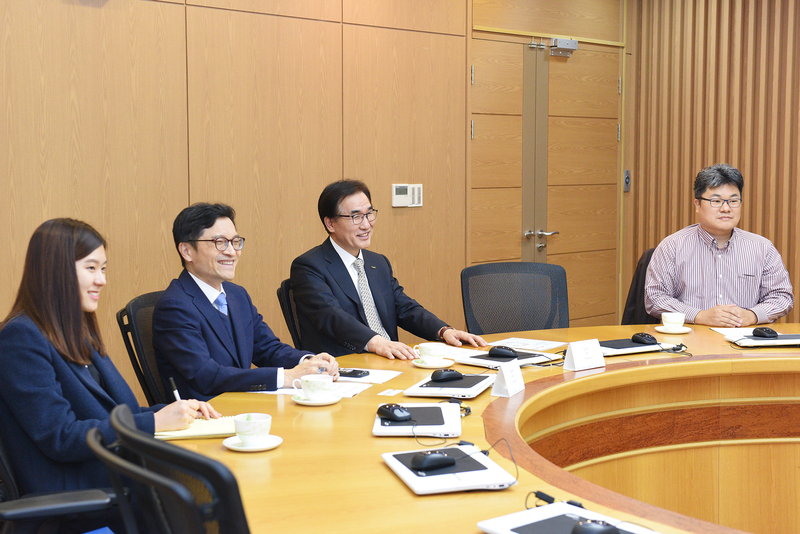 On top of this, Pyongyang University of Science and Technology is the largest community of foreign people in the DPRK, with more than 60 foreign faculty from China, the U.S., Canada, the U.K., and other parts of Europe.